The nuanced language of real life is extremely tough to translate into a good film, and despite its best and most adamant intentions, The Miracle Season doesn’t exactly honor the spirit that it attempts to suffuse itself with. There’s a glaring artificiality to this glorified Hallmark channel picture, a lack of organic interactions, and an unwillingness to really address the pain and sorrow being shared by an entire community after tragedy strikes. You might cry, you might laugh, you might even commiserate. And that’s because The Miracle Season only knows how to force feeling. I so badly wish that this film had a more genuine script; it’s a story worth telling in a better way. West High Volleyball isn’t just a school night sideshow in Iowa City, Iowa…it’s a phenomenon and an event in and of itself. Gyms are packed. TV and radio broadcasts are regular occurrences. Starter status on the squad brings respect and a communal reverence. Expectations are high for the team after a 2010 state championship and they’re coasting on the enthusiasm of their effervescent captain Caroline “Line” Found (Danika Yarosh). After a few wasted scenes and little development, Caroline dies in a tragic accident and the story commits itself to serve her memory. By following a safe sports formula, The Miracle Season abandons the alacrity and the life of the spirited soul it wishes to honor. The title shows how much the film misses the mark. This should be a movie with a reason, not one about a pointless season. 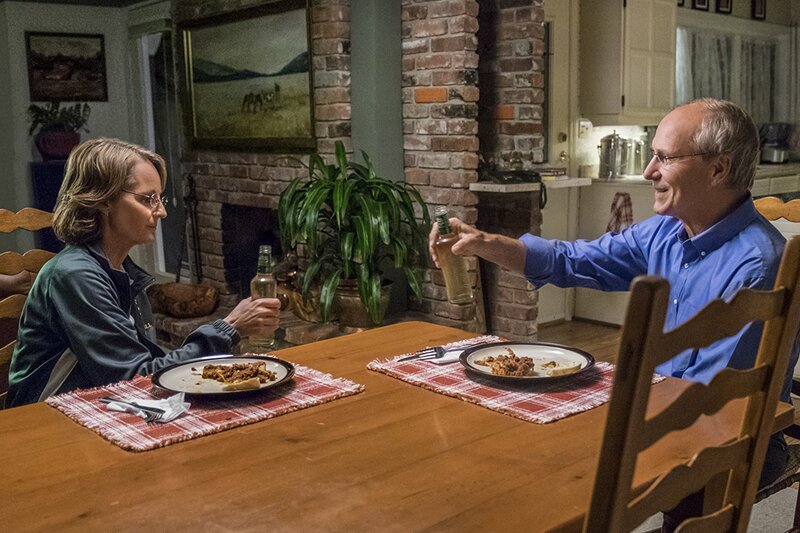 Tragedy strikes Dr. Ernie Found (William Hurt) twice in the matter of a week. Caroline is stolen too soon and his sickly wife succumbs to stage 4 pancreatic cancer. It’s more than just a tough pill to swallow. Without their charismatic leader, this year’s team seems doomed. Kelley Fliehler (Erin Moriarty) has to fill her best friend’s shoes as the team’s leader/setter. 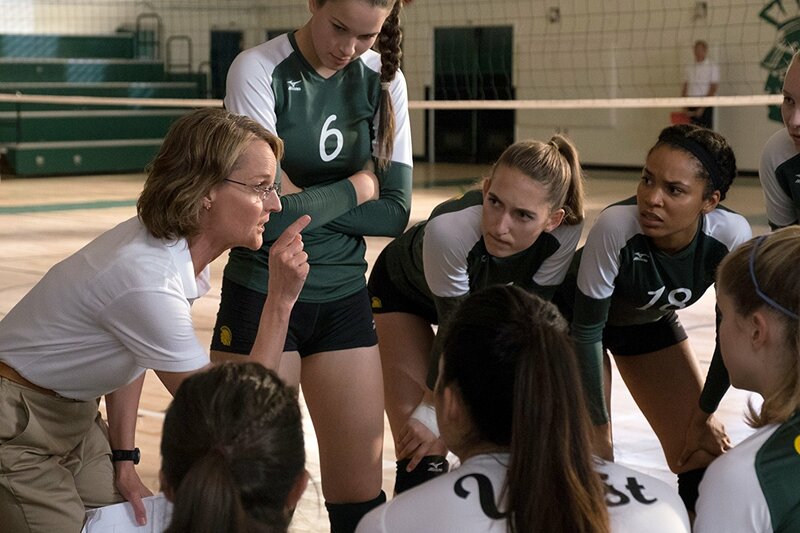 Coach Kathy Bresnahan (Helen Hunt) – whose story is perplexing and altogether incomplete – struggles to coral her troops. And then the film, which looks like and is hardly shot better than a 90’s Disney TV sports flick, tries to find purpose without reason. There’s plenty of stock-piled chicken soup here but hardly enough for the soul to feast on. This crowd pleaser comes canned and served cold. As the beatitudes of the team shift from “Do it for Line” to “Win it for Line” to “Live Like Line,” you begin to wish that the film had branded itself as the latter from the onset. That it made less fuss about the folly of a high school game and tried to capture a spirit worth channeling. 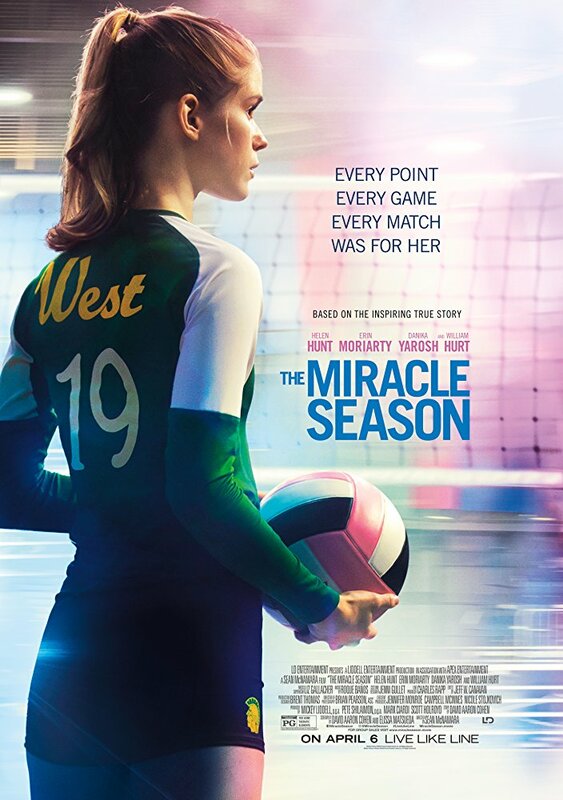 The Miracle Season exemplifies how sports can join us together and help us to process the emotions of bewilderment and grief, but it’d have been more inspirational had it adequately introduced the story’s life source before tapping sucking it dry. Only then could it have been – and should have been called – Live Like Line. A shorter and more powerful HBO video proves this point, confirming that The Miracle Season is missing the most important ingredients of all: inspiration, purpose, and delight.